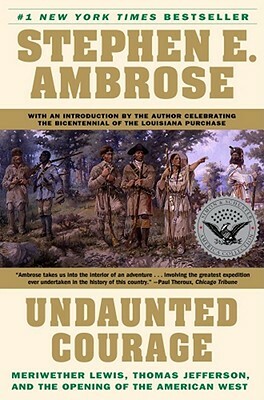 From the New York Times bestselling author of Band of Brothers and D-Day, the definitive book on Lewis and Clark’s exploration of the Louisiana Purchase, the most momentous expedition in American history and one of the great adventure stories of all time. Ambrose has pieced together previously unknown information about weather, terrain, and medical knowledge at the time to provide a vivid backdrop for the expedition. Lewis is supported by a rich variety of colorful characters, first of all Jefferson himself, whose interest in exploring and acquiring the American West went back thirty years. Next comes Clark, a rugged frontiersman whose love for Lewis matched Jefferson’s. There are numerous Indian chiefs, and Sacagawea, the Indian girl who accompanied the expedition, along with the French-Indian hunter Drouillard, the great naturalists of Philadelphia, the French and Spanish fur traders of St. Louis, John Quincy Adams, and many more leading political, scientific, and military figures of the turn of the century. Stephen E. Ambrose was a renowned historian and acclaimed author of more than thirty books. Among his New York Times bestsellers are Nothing Like It in the World, Citizen Soldiers, Band of Brothers, D-Day - June 6, 1944, and Undaunted Courage. Dr. Ambrose was a retired Boyd Professor of History at the University of New Orleans and a contributing editor for the Quarterly Journal of Military History.